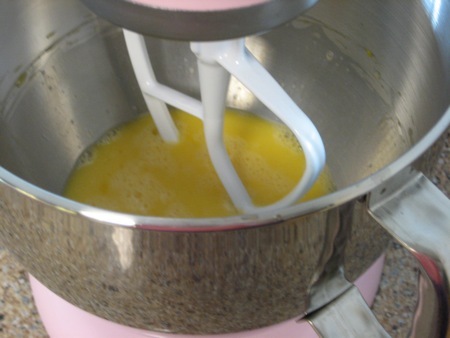 In a mixer, beat the eggs until fluffy. 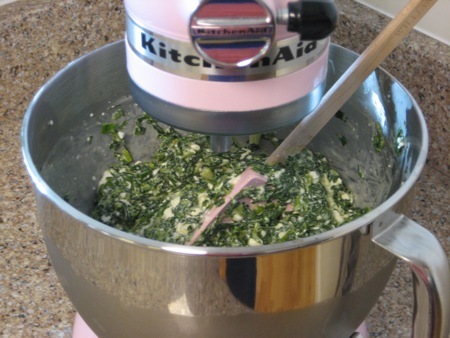 Add everything else (except the phyllo dough and butter) gradually, just until mixed. 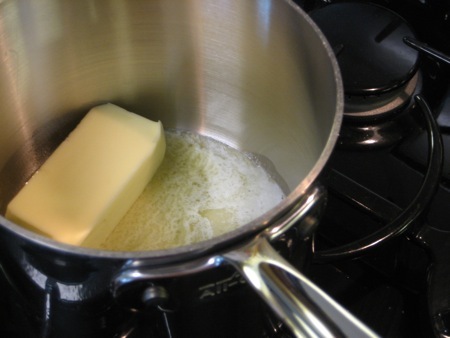 Melt the stick of butter. Using a pastry brush, butter a 9x13x3 inch pan. 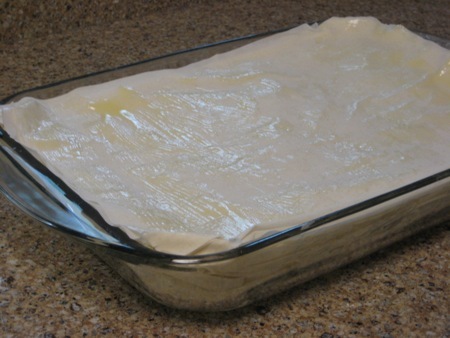 Line the bottom of the pan with half the box of phyllo, buttering between each layer. 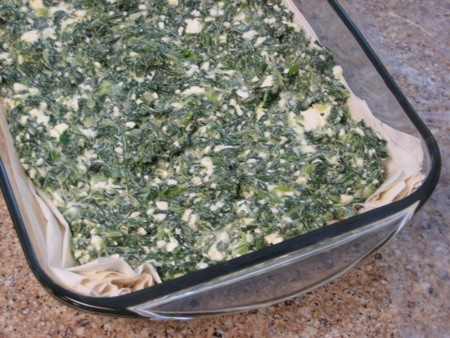 Add spinach filling and spread evenly. 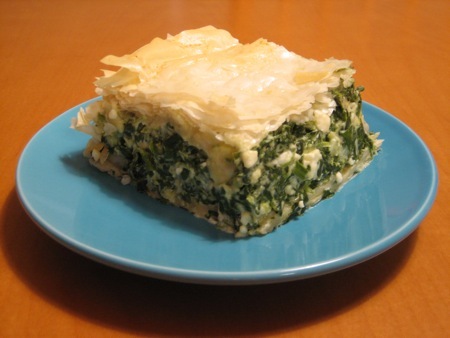 Top with a little extra crumbled feta, if you have some left. 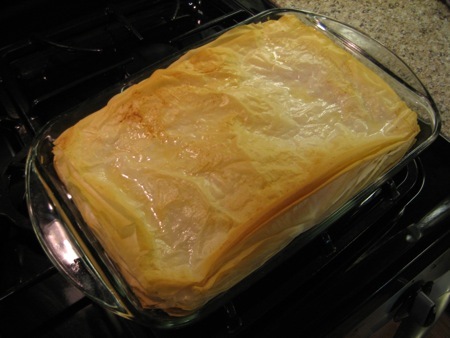 Place the remaining phyllo on top, again buttering between each sheet. 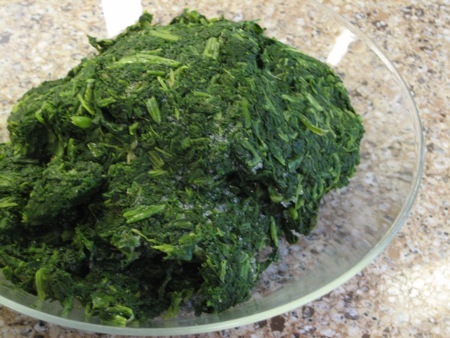 “Baptize” the top with a little water and bake at 350 degrees until brown and crispy on top, approximately 45-50 minutes. 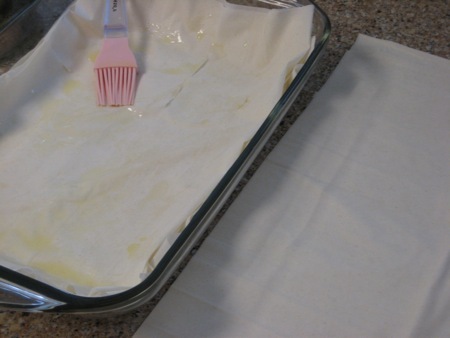 If the phyllo starts to get too brown, cover with foil. Thank you! And I know…Uncle Jesse seriously looks like he stole that sweater from the Ham Burgler’s closet. The Spanakopita looks awesome and the Uncle Jesse photo is totally cracking me up! Have Mercy…hehehe! 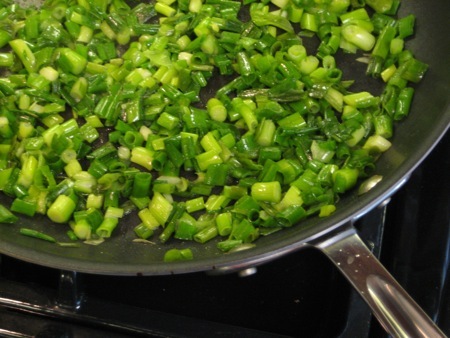 this dish looks sooo yummy…i’m going to attempt it! You definitely should. For the most part it’s very simple. I did get a little “annoyed” when I had to separate every single layer of phyllo dough and brush butter on them but it was definitely worth it in the end. Fantastic photo! It looks so delicate & elegant…ingredient-wise, delicious! i think you could have found a better picture of uncle jesse, but NOT of the spakopita – yummers. for some reason, i always pronounce it span-a-ko-PITA even though i know better, and then i correct myself. I had friends who were Greek when I was younger and I used to eat at their house all the time.They made something they called ‘Greek pizza’ and I think it might be this or something really really close.Im going to have to try and make this since what I remember was delicious and can only imagine what this will be like.Im just not sure it had all the greens in it.I remember it being more layered dough with cheese and a lil bit of green in it.Any idea what Im talking about?